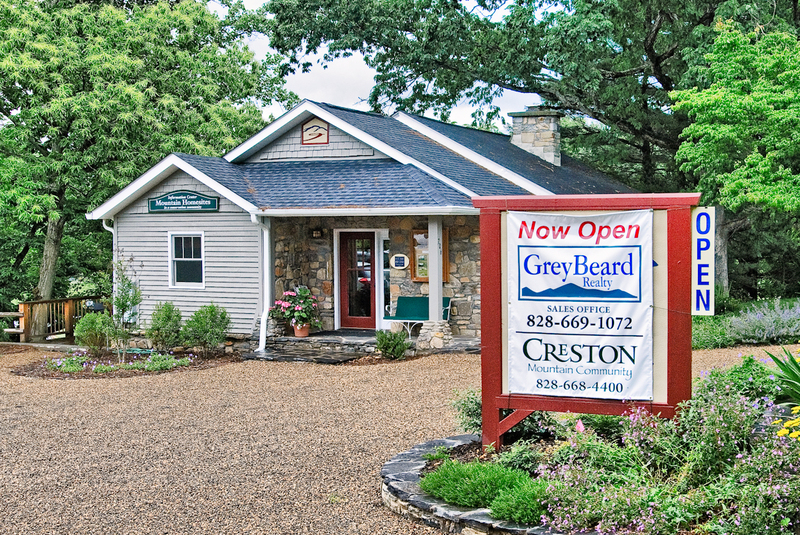 Greybeard Realty Opens Additional Office - GreyBeard Realty and Rentals , this additional office location will be open Monday through Saturday from 10 a.m. until 4 p.m. A Greybeard sales agent will have information regarding Creston Mountain properties as well as other properties. "We are very pleased with the new relationship with Creston Community," explains Chip Craig, president and founder of Greybeard Realty. "We feel that the responsible development going on at Creston is a very positive addition to the Black Mountain community, and we are also excited to have an office with such a high visibility location." Creston Community, an 1100 acre development with 135 home sites, offers a perfect blend of homes, hiking trails, long range views, waterfalls and natural beauty. The high quality of Creston's development has made it one of the most successful real estate projects in the area and at present approximately 40 lots remain on the market. Greybeard Realty, currently celebrating 10 years of service in the community, has 9 real estate sales brokers as well as five rental management staff who oversee 245 vacation and long-term rental homes in the area. Greybeard's main office is located at 204 East State Street in Black Mountain. For more information about our new office or other aspects of Greybeard Realty, please contact us at 828-669-1072 or online.